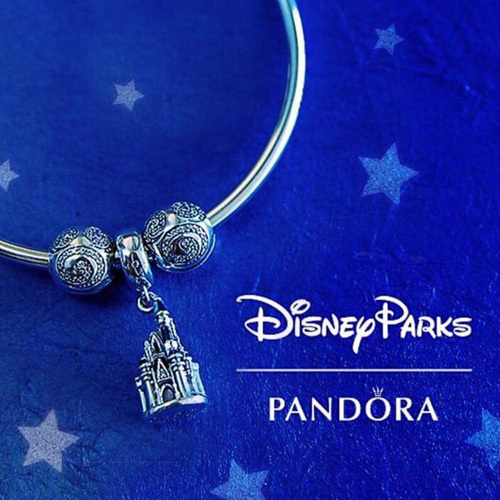 Keep your bracelet safe in style with the darling PANDORA Disney Climbing Mickey Safety Chain. 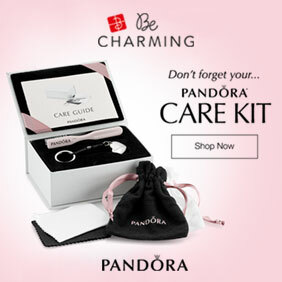 Now I have to be honest and tell you that I do not normally bother with using a safety chain on my PANDORA bracelet. But I couldn’t resist the super cute PANDORA Disney Climbing Mickey Safety Chain (797173CZR-05) which was part of the PANDORA Disney Spring 2018 Collection. 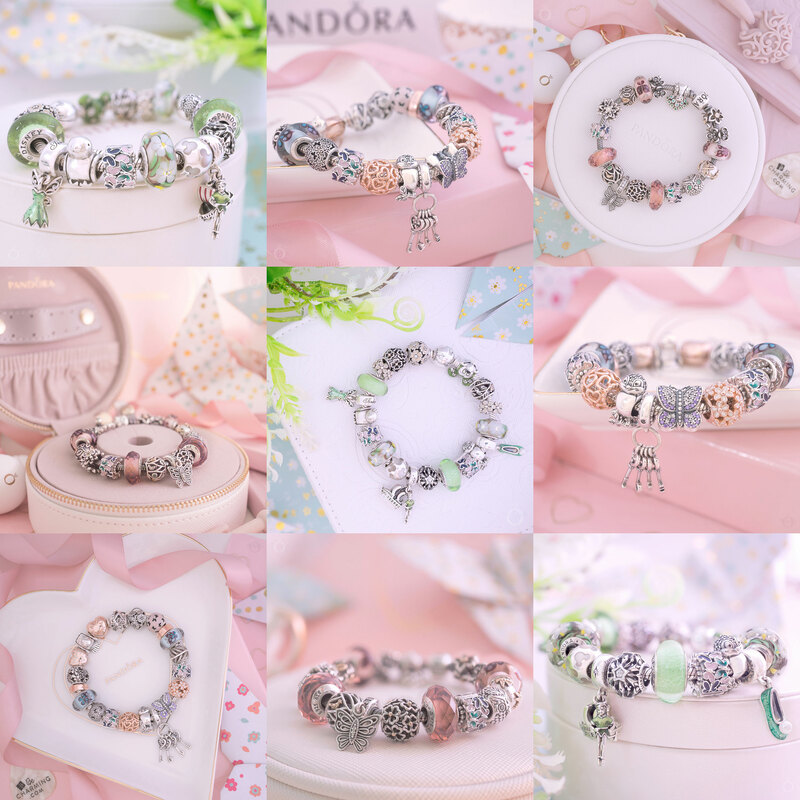 Thankfully I’ve never had the misfortune of a PANDORA bracelet opening by mistake and besides my new PANDORA Disney Safety Chain I have only invested in the two tone PANDORA Bouquet Clip Safety Chain (790864) which I use to enhance a two tone design. 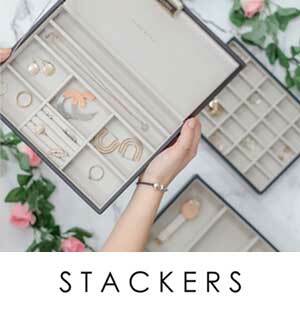 Hence in this review as well as discussing the benefits of a safety chain, I will highlight alternative style options for your PANDORA safety chain. 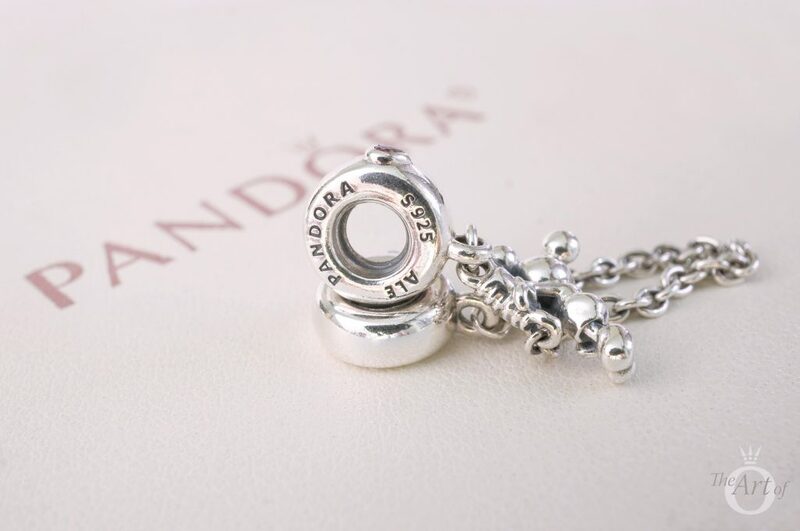 PANDORA safety chains are available in two styles; threaded or clip. My retired PANDORA Bouquet Clip Safety Chain is a clip safety chain which means when threading charms on your bracelet you can leave space for the clip and once the design is finished simply clip the chain on at each end. 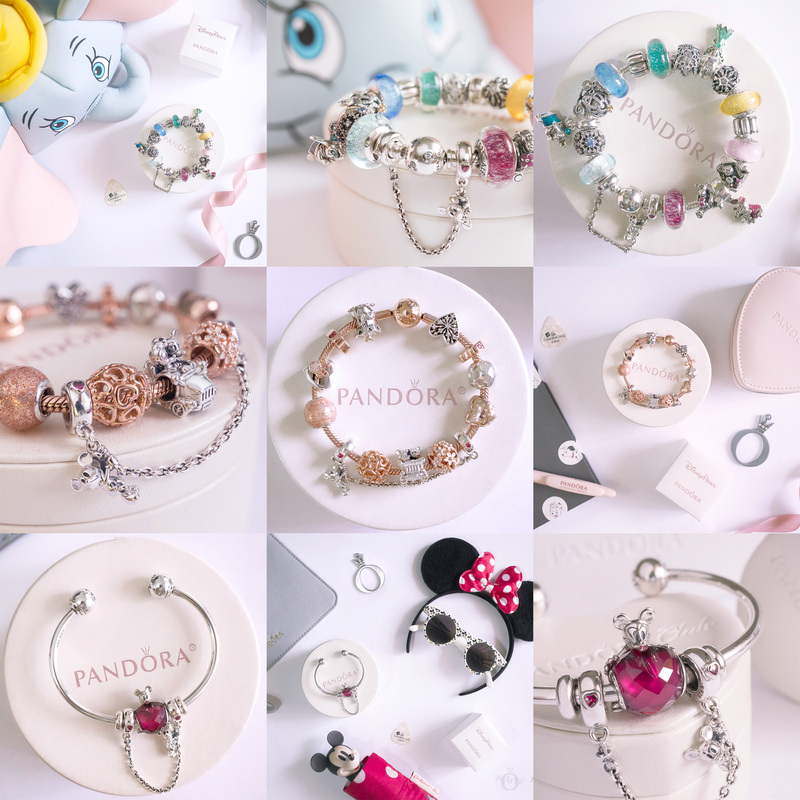 The cute PANDORA Disney Climbing Mickey Safety Chain is a threaded safety chain and consquently one end must be threaded onto your bracelet before adding the charms. Once your bracelet design is complete then you can add the other end of the Climbing Mickey Safety Chain. Recent PANDORA Disney collections have featured ‘Vintage Mickey and Minnie’ figures. The little Mickey model on the Climbing Mickey Safety Chain is presented in the same retro look as in the PANDORA Mickey & Minnie Vintage Car Charm (797174). Vintage Mickey has a longer nose and his eyes are completely black compared to the modern Mickey, who has white oval eyes with a black oval pupil. From a side view of the Climbing Mickey Safety Chain, Mickey’s pointy nose is very distinct and you can observe his dinky little shorts and his gloved hands tightly gripping the chain as he climbs! 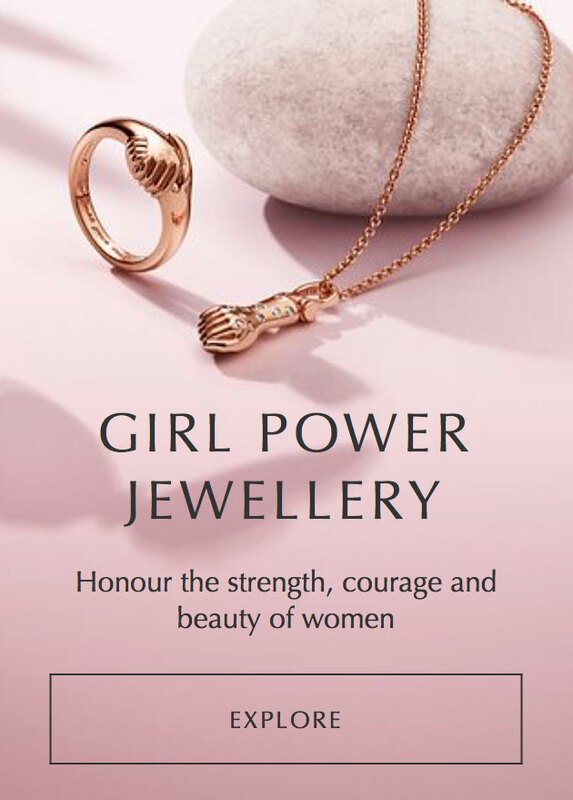 Many of the older PANDORA safety chains designs are fairly wide but recently PANDORA have produced some very pretty narrower safety chains, such as the Pavé Inspiration (791736CZ), Sparkling Arcs of Love (797138CZ) and Wildflower Meadow (797090NRP). 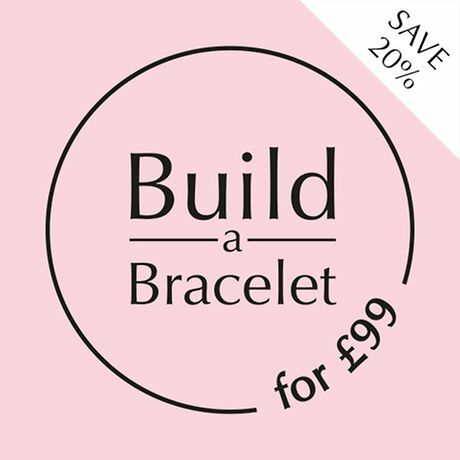 One of the benefits of choosing a slender safety chain design, is that it allows more room for charms on your bracelet. The standard ‘PANDORA’ and “S925 ALE’ hallmarks are stamped on one side of the bale. Overall, the PANDORA Disney Climbing Mickey Safety Chain has a relatively simple design and a clean look. It’s slim bales are decorated with a single sparkling ruby red cubic zirconia heart shaped stone, in a similar style to the dainty PANDORA Two Hearts Spacer (796559CZR). The ‘©Disney’ hallmark is engraved on one side of the bale. What's the matter with his ears? I don't see nothin' wrong with 'em. I think they're cute. The very things that held ya down are gonna carry ya up, and up, and up! My first styling with the PANDORA Disney Climbing Mickey Safety Chain demonstrates the typical way to use a safety chain. I’m delighted with the result of this design and the little climbing Mickey figure looks fantastic hanging out with the three pendant charms! 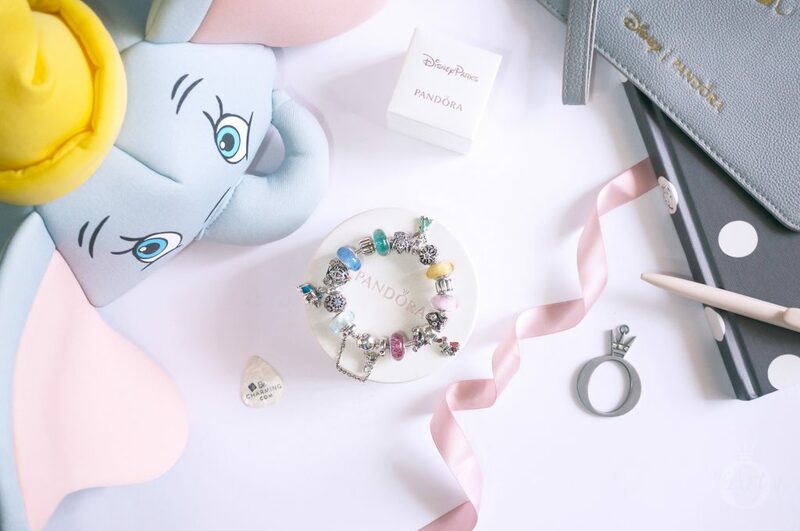 Favourite Disney characters are grouped into three sections with the simple Ribbed Clip (790163), amongst the glittering Murano charms on the Disney Moments Mickey Bracelet (590731CZ). Starting the rainbow is the deep pink PANDORA Disney Anna’s Signature Murano (791645), followed by the 100 acre residents Tigger (792135EN80), Piglet (792134EN117) and Eeyore (791567EN80) and the soft pink Aurora’s Signature Murano (791658). Belle’s Signature Murano (791643) continues the colour spectrum with Tinker Bell’s Dress (792138EN93) fluttering between the Frozen Snowflake Charm (791563CZ) and the magical Disney Princess Crown (791580CZ), followed by the gorgeous Ariel Signature Murano (791641). 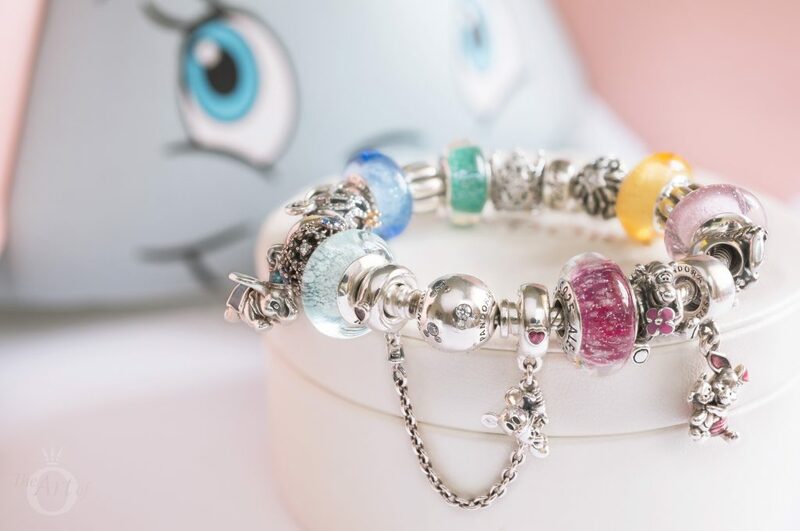 Beautiful blues complete the rainbow with the glistening Cinderella (791640) and Elsa’s Signature Murano (791644) charms with the adorable PANDORA Disney Parks Dumbo flying between them. Cinderella’s Pumpkin Carriage (791573CZ) and Wish (791592CFL) charms finish this fanciful design. 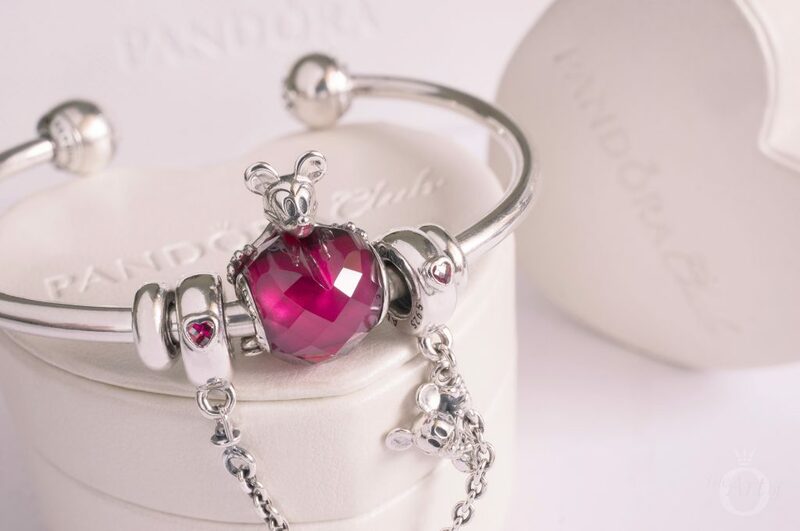 If you want to create a similar style, the PANDORA Disney Anna’s Signature Murano is available for just £19 in the PANDORA UK eStore Outlet and the PANDORA Disney Princess Crown is currently available for £35. Plus if you need a new set of clips, the classic Ribbed Clip are now just £15 each on the PANDORA UK eStore Outlet. Rock your love for Mickey with this fun modern styling set on the PANDORA Open Bangle (596477). Mickey protects your love by firmly holding the cerise crystal on the PANDORA Disney Mickey Love Heart (797168NFR) charm and with Climbing Mickey keeping a look out from his safety chain below. The sparkling fuchsia stones on the safety chain are the perfect match to the faceted crystal heart. This cute design would be amazing with the upcoming PANDORA Disney Mickey & Minnie Open Bangle (597494)! 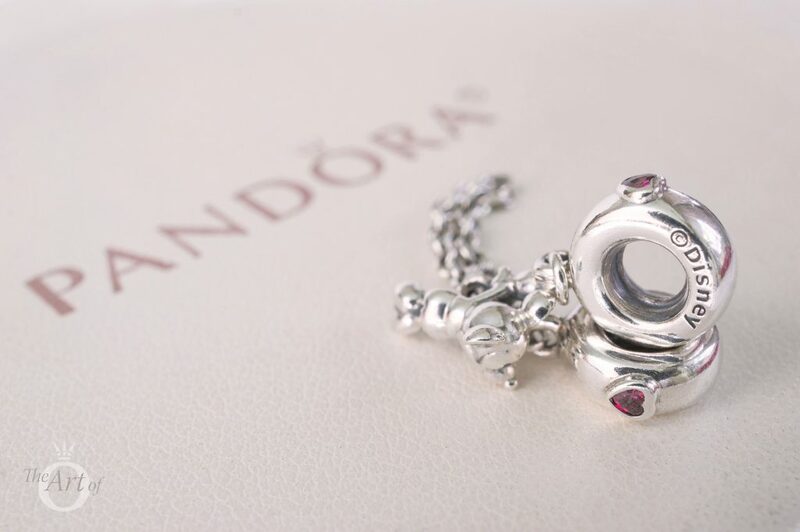 Read our review of the PANDORA Disney Mickey Love Heart charm for more style inspiration. We've got ears; say, 'Cheers!'. Oh, boy! Bibbidi Bobbidi Stew! The PANDORA Disney Climbing Mickey Safety Chain adds a quirky touch to this Millennial Mickey bracelet! 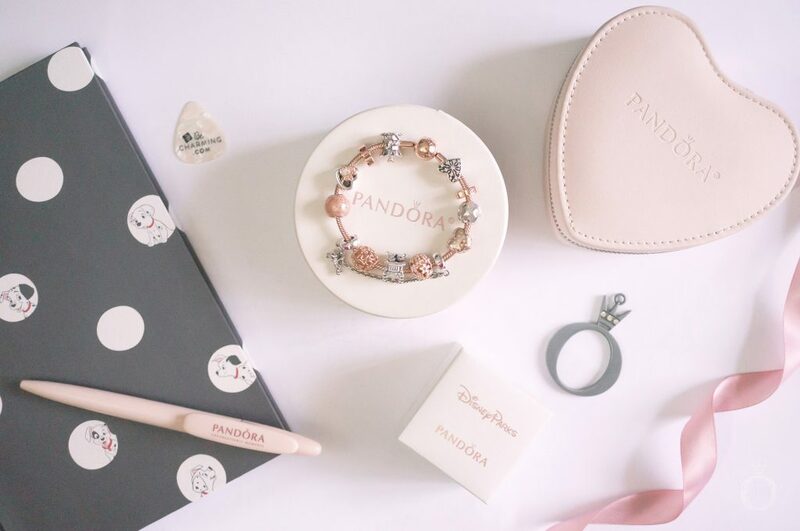 PANDORA Rose jewellery is perfect to create a softer, feminine approach to Disney and the Smooth PANDORA Rose Clasp Bracelet (580728) provides a wonderful dreamy background. 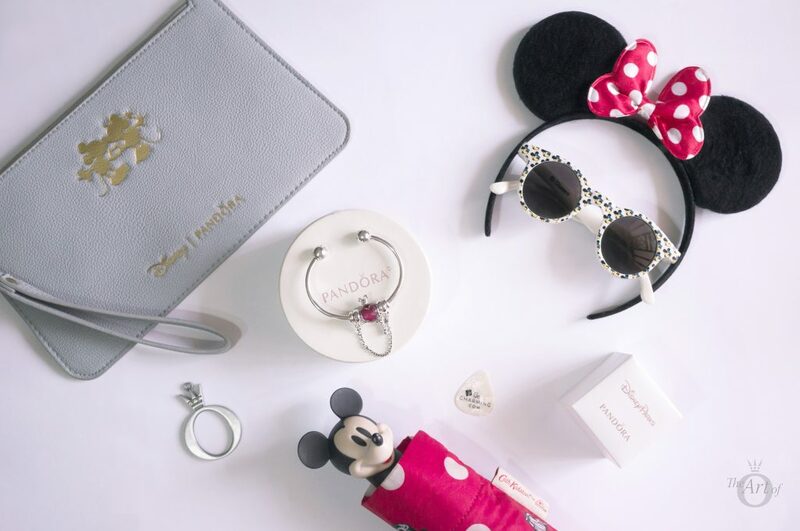 A selection of subtle Disney charms such as the two tone Disney Parks Carousel, Limited Edition Mickey & Minnie Love Icon and the Pearlescent Mickey Silhouettes (791818MOP) charm with the new Mickey & Minnie Vintage Car (797174) charm at the centre. The gleaming red cubic zirconia stones on the sweet PANDORA Rose Two Hearts (786559CZR) spacer charms emphasis the ruby hearts on the Climbing Mickey Safety Chain and provide an interesting addition of colour. Read our review of the new Mickey & Minnie Vintage Car charm for more bracelet designs. My verdict on the PANDORA Disney Climbing Mickey Safety Chain? It climbed its way into my heart! The Climbing Mickey Safety Chain has a fantastic design but it isn’t really a feature item which is why I haven’t give it 10/10 on wow factor. It is reasonably priced for a safety chain especially when you consider the detail of the Mickey figure. Although many will just use it as a safety chain I believe its sweet style looks great worn on the middle of a bracelet and it could even work on a necklace as an interesting layer effect. In the UK the PANDORA Disney Climbing Mickey Safety Chain (797173CZR-05) is £55 and is available from the PANDORA UK eStore. This is a really cute safety chain. I am yet to purchase a safety chain for my bracelets. Touch wood my clasps have never come undone. Beautiful photos, as always! I love the princess muranos combined on a bracelet! Thank you so much. When I take a look at my older reviews I feel that my photography has gradually improved. 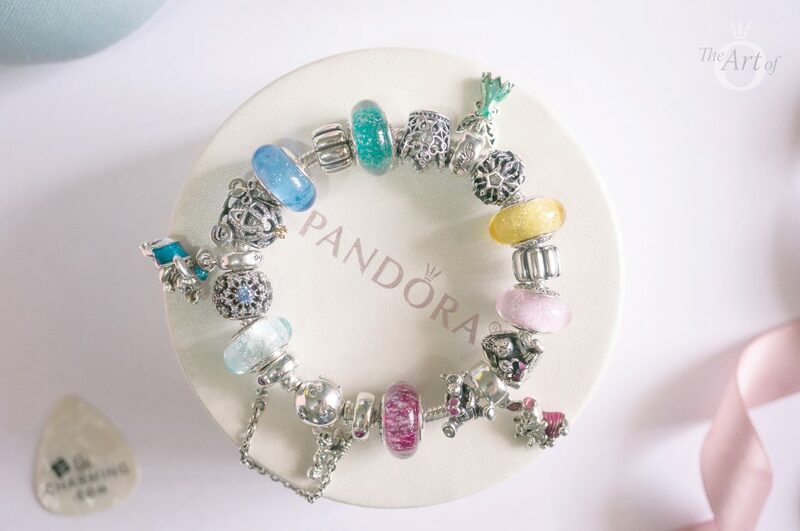 I really love the Princess Signature Murano charms together too! I still am missing Tinker Bell and it’s on my wish list. 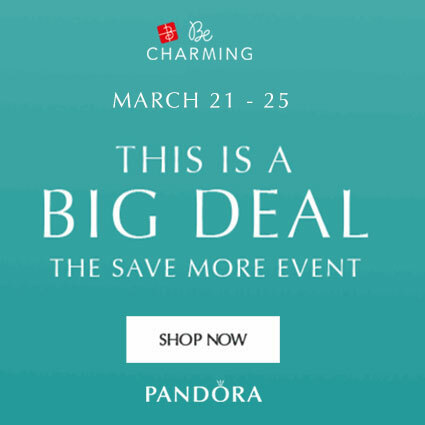 It is harder to find now that PANDORA have retired many of the Signature Murano charms. Thank you for your comment. I’m glad your safety chain saved your bracelet and you are right the Climbing Mickey safety chain will be perf3ct for your Disney bracelet. It’s my favourite out of all the Disney safety chains! Dora!!! I love all the fun, sweet ways you styled your new safety chain! This safety chain was on my “must buy” list, but after my husband and I looked at him (in-person), we were worried he may fall off (much like the Minnie Eiffel Tower charm). You’re really tempting me to Re-consider purchasing it!!! It’s soo darn adorable!! !